Last evening I had a wonderfully unique opportunity to sample a complex mixture of art, science and creativity at the elegant Orpheum Theatre in Omaha (circa 1927)–in the form of modern dance! 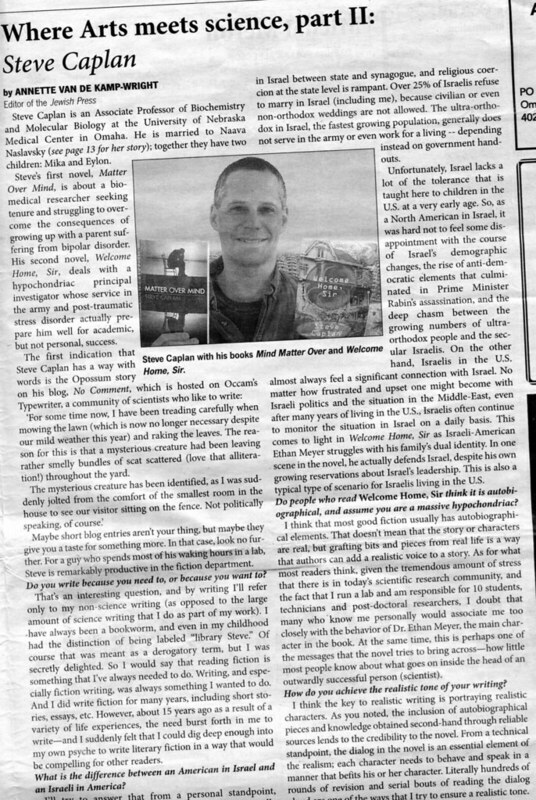 In other recent news–I’m in the news. 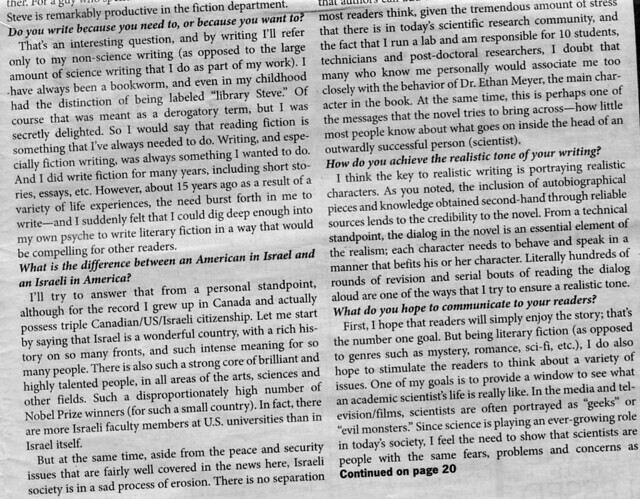 The editor of the “Jewish Press” of Omaha interviewed me–about my two novels. I even managed to put in a plug for Occam’s Typewriter into the mix. The interview, for those with insomnia or otherwise bored-to-tears, is given below. This entry was posted in science, Uncategorized and tagged art, author, books, creativity, in the news, Momix Botanica, Occam's Typewriter, Orpheum Theatre Omaha, science. Bookmark the permalink.